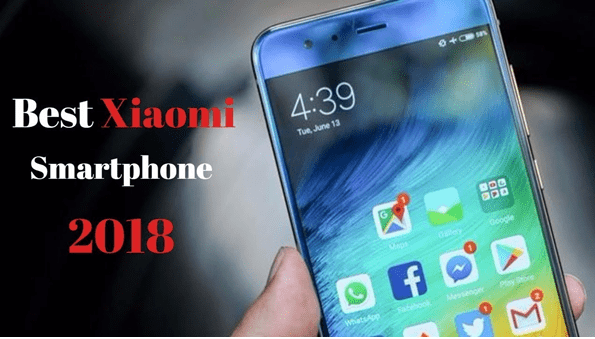 So you want a best Xiaomi smartphone this year? Well! We have rounded up here five best smartphones you can pick from. We have listed smartphones from different ranges so you can easily decide and pick the best option in time. Xiaomi is one of best smartphone in the world with tons of impressive options. The company is the addict of rapidly introducing new smartphones, it has covered all segments out there, from entry-level to high-end flagships. In many regions, the company has emerged as one of the leading brands because of its quality products. 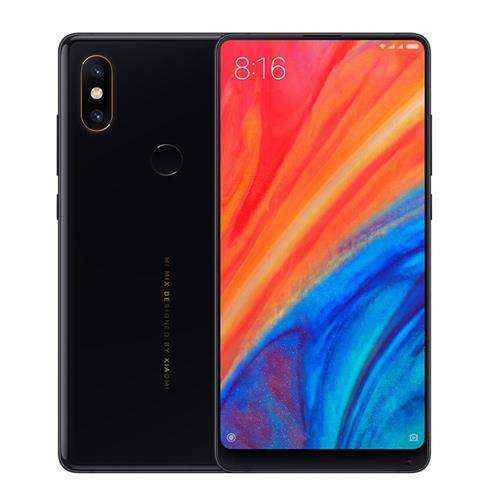 This is an innovative brand with a keen focus on trends, it does produce new phones covering all trends along with some innovative features, Mi Mix series is one nice example to prove this. It is not necessary to buy a smartphone from a company whose name you see first. Be sure to find out what it is in general, examine everything before making a selection. The price of range in affordable-market is now capable to open access to the choice of smartphones with trending innovations, chasing them is not worth the head. Remember that innovation has its price. It is possible to install a dual camera, which will be useless, the manufacturer gave up the quality screen. One of the great options with powerful specs under eye-catching design. You can consider it one of the best bezel-less smartphone that can meet your demands at peak. This is a nice to pick the option with the shiny body you can pick in white and black colors option. It has a large 5.99 inches display based on 1080 x 2160 pixels (Full HD+) resolution. It offers you 18:9 aspect ratio with around 82% screen to body ratio. You get the aluminum frame and 2.5D glass material on the back and front side. The rear side contains ceramic material which looks quite beautiful. It has a minimal chick featuring the front-facing camera. Overall, it gives you premium feelings when using. This phone is powered by an Octa-core processor and you can pick it with 6GB or 8GB RAM option. Storage options range from 64GB to 256GB and you do not have an option to extend internal storage with SD card. It has power camera setups for both sides. The rear side is equipped with two 12 AI cameras. AI (artificial intelligence) effect does try to give you a great photography experience. One main 12MP sensor contains f/1.8 aperture, 1/2.55″ sensor, and 1.4 µm pixels. The secondary 12MP camera tries to enhance performance with an f/2.4 aperture (helpful for amazing daylight photography). You can record sharp 4K videos and slow-motion videos at 240 frames per second. The Xiaomi Mi Mix 2s has a 4000mAh huge battery which let you live more than a day. Do you like to have a powerful phone with trendy stuff out there? You should focus on Xiaomi Mi 8, this is another bezel-less smartphone that comes with the so-called notch. The company has made it available in gorgeous design under the premium material and yes you can hide the notch if you hater of it. This is one of a top-class rival to other flagships available in the market including Galaxy S9, iPhone X and OnePlus 6. It does offer you minimal design, very thin bezels and solid material for a shiny look. It does offer you 6.21 inches Super AMOLED display, the OLED display panel is optimized for high color contrast at 600nit. It has Octa-Core processor clocked at 2.8 GHz processing power. It has a 6GB RAM and you can pick it in three options, 64GB, 128GB, and 256GB. What about photography? This phone has amazing cameras for capturing images that can inspire others. It comes with a 12MP primary camera which is equipped with a f/1.8 aperture, 4-axis OIS for smooth image stabilization and dual pixel PDAF. The secondary camera is 12MP which has an f/2.4 aperture you can use to have great impressive daylight photography. This setup containing two cameras can capture vivid photographs at night as well. When it comes to the front side, it offers you 20MP camera with f/2.0 aperture and it can record full HD videos. And it has no 3.5mm jack but does not worry as you can use USB C to 3.5mm convert to handle this issue. Xiaomi has powered this phone up with a 3400mAh you can charge fast. This should easily let you stay connected with the world for more than a day. This is one of best mid-ranger with AI dual camera setup. This smartphone has a 5.99-inches display with 1080p resolution. You can pick the phone in many stunning colors including Flame Red, Sand Gold, Black, Pink, and Blue. This is another handset with an 18:9 aspect ratio you can buy. This phone has an Octa-Core processor, 4 x 2.2 GHz + 4x 1.8 GHz, you can get it in 4GB and 6GB RAM option. For internal storage, Xiaomi has used 64GB and 128GB ROMs, along with up to 256GB SD card slot. The interesting part, it comes with an AI dual camera setup which let you have amazing photography experience at the normal price tag. It has two Sony sensors, one is main 12MP Sony IMX486 sensor with 1/2.9″ size and one is 20MP IMX376 with 1/2.8″ sensor size. The camera has f/1.75 aperture so you can capture sharp images in low light conditions. Even, the front-facing camera has the ability to inspire the world, it comes with a 20MP front-facing camera with AI tools. You can enjoy a wide range of photography tools that let you enhance your experience with Xiaomi phones among mid-rangers. This smartphone is powered by a 3010mAh battery, a normal improvement to A1. You can charge this phone fast with 5V/2A chargers. This smartphone comes with a 5.84 inches display and resolution 2280 x 1080 points, the aspect ratio is 19:9. The choice of memory manufacturer is not stinted and offered three modifications: 3/32 GB, 4/32 GB, and 4/64 GB. The set of cameras in this smartphone standard: frontal single and double rear. Taking front-sided photo is possible sensor to 5 MP, and the main camera received two sensors, where the main is 12 MP and to help given the second is 5 MP. Almost certainly, with good daylight, the camera will give a decent picture, but in the evening the image will lose in detail and contrast. One of the pleasant moments in Xiaomi Redmi 6 Pro, the presence of battery on 4000 mAh. With such a battery, the device will easily survive until the end of the day and the stated time of work in talk mode, p to 34 hours. Xiaomi Redmi 6 Pro fully meets those tasks that put ordinary users in front of the smartphone. This is one of the most inexpensive devices that does not offer anything supernatural. Average performance, normal cameras, and faceless design-alas, the mandatory costs of the budget segment here legislated. Xiaomi Redmi 6 is not very tall, it does offer a sleek and beautiful design. Dimensions of devices from a ruler Remis dimensions of the device more or less everything is clear. Only the thickness of the Redmi 6 is thrown in the eye, compared to the Redmi 5 – 8.3 mm against 7.7 mm. That’s a pretty noticeable difference. 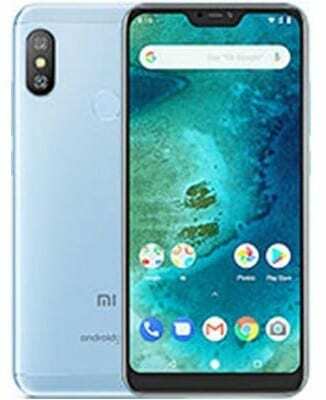 The capacity is the same as that of Redmi 5a, with a similar thickness of smartphones. The weight of Redmi 6 is 164 grams. The appearance leaves much to be desired, at least in the photos the smartphone looks just unpresentable. Huge side frames around the screen, this is not what you would like to see in the smartphone mid-2018. This phone does not have a cutout in the screen, although the screen does have proportions of 18:9 as the predecessor. The frames on the top and bottom are quite impressive, although the machine is still more compact than last year’s smartphones with 16:9 screens with the same diagonal display. The case of the phone is made of metal, but there are two small end inserts made of plastic. The main camera is double and located in the upper left corner at the junction of the plastic insert and metal panel. To the right of it is a flash, and in the middle of the upper part of the rear panel, fingerprint scanner. It is noteworthy that the external speaker grille is located in the lower part of the rear panel, as in the model Redmi Note 3 of the year 2015. At the bottom end there is only a micro-USB connector and a conversational microphone and on the top-the second microphone and headphone jack. The IR port in the smartphone is not provided, and it is perplexing. It has a dual camera sensor. 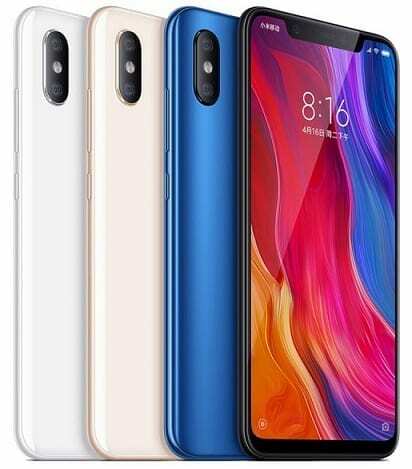 The double main chamber, installed in Redmi 6, is devoted a lot of time to the presentation, telling how much it has become better, compared to the previous generation. The camera is equipped with sensors for 12 and 5 MP (F/2.2), pixel size 1.25 microns. There is a LED flash. 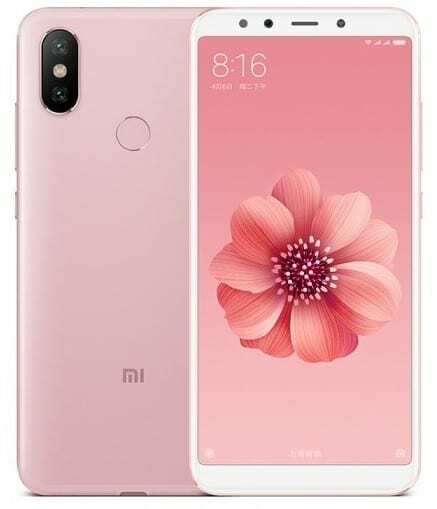 Comparing them to the picture, it seems that the framework on Redmi 6 is almost twice wider than that of Redmi 5. If this actually turns out to be so, this fact can alienate many users who are accustomed to living up to the times and get with the new device more and more subtle frames, and not vice versa. The company has used the processor from MediaTek. The company’s progress in this direction is not clear. Smartphones of the company with Chip MediaTek produced very seldom and in most cases did not enjoy high demand. But it is not necessary to write off processors Helio from accounts. It looks pretty good on paper. The battery on 3000 mAh, battery capacity I’d like more. But again, we cannot say anything about the autonomy of these smartphones. 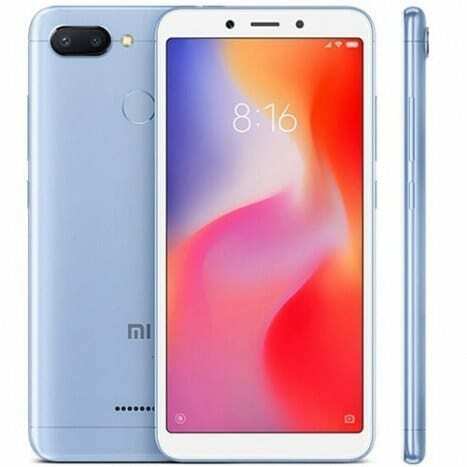 Reduced to 5.45 inches diagonal screen and processor made by a 12-nanometrology process, perhaps this is exactly what makes the battery of this capacity-a good choice for this device. The main “driving force” of the smartphone is a new 4-core processor Mediatek Helio A22 with a clock frequency of 2.0 GHz. The Redmi 6 will be available in two versions: 3/32 GB and 4/64 GB.